Good topic over at TAC. 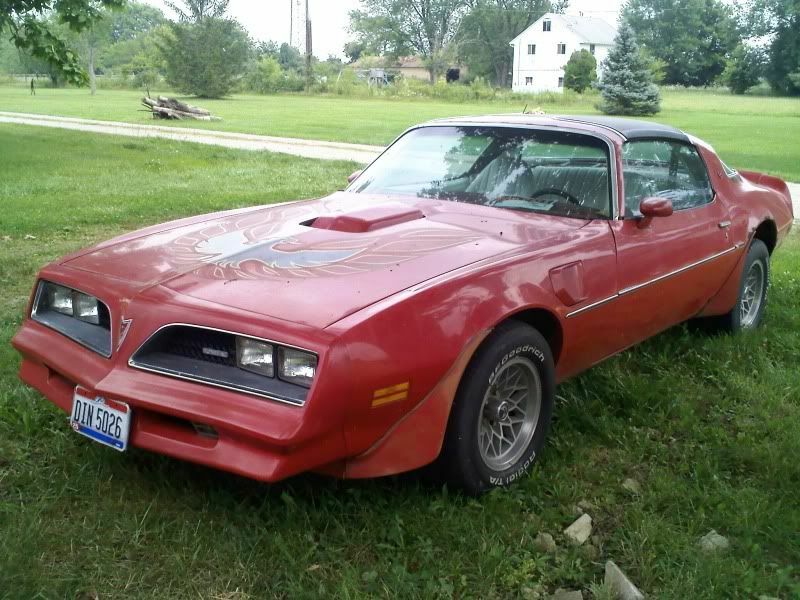 Was there a 1978 hardtop Y81 Trans Am produced? 1) There were no factory documents that I have been able to uncover referencing a Y81 special edition for the 1978 model year. 2) No pricing was ever established, UPC code Y81 was not listed on any 1978 pricing material. As far as 1979, the only reason there are no records for hardtop black and gold special editions is both have option code Y84. To document a 1979 Y84 hardtop would require one would need build sheet and or window sticker and or PHS invoice. The invoice and window stick on a Y84 hardtop would show pricing of 674.00 instead of 1,329.00 with t-tops. In both cases there will always be a option code and pricing trail. From what I can see, 1977 was the only year for the Y81. All 1976 cars hardtop or t-top had the Y82 code and all 1978 models had the code Y82 or Y84 weather or not they had t-tops or was a hardtop car. So, the Y81 was a 1977 model year option only. Agreed, Y81 during the 1977 model year was for the hardtop, non-t-top car. For 1978 all Y82 cars were produced at Norwood, OH and had hurst t-tops, and all Y84 cars were produced at Van Nuys, CA and had the Fisher sytle t-top. Still waiting for Melvin to get back to me on that car. Wrote to him twice.. maybe the shop is closed for the holidays..
Looks like my car with the 15x8's.. no t-tops! BOTH WRONG! Brett, I was just looking over at Texas Trans Ams and they list the '76 455 "limited Edition" Trans Am w/ T-Tops as a Y82 and all other Limited Edition (400/455 hardtop and 400 T-Top) as Y81. Is this correct or am I getting false info? That is false info. All 1976 LE cars had the code Y82. Y81 did not come out until 1977. Thanks Bud! I can't wait until you get all the RPO codes in on your page. It will be nice to have them all in one place and know that they are not just copied from another site that may have been wrong itself. I may have to work on something like that for Olds engine info. Seems like a lot of the sites I've been referencing for that have been off a lot too.